In August 2008, when hostilities broke out in South Ossetia and the Kodori Gorge and when Russia subsequently recognized the independence of Abkhazia and South Ossetia, Sergei Shamba was the Abkhazian foreign minister; he later became prime minister. Sergei Shamba has told Sputnik little-known details of the events that took place a decade ago, from the point of view of someone participating in them. Sputnik: Sergei, were the events of August 8 in Tskhinvali unexpected for Abkhazia? Sergei Shamba: They weren’t unexpected. It was evident that Georgia was getting ready for an attack. The Ossetians were constantly pointing out that the Georgians were quietly occupying the heights around Tskhinvali, which posed a threat to the city. At that time, a peace process was underway and it was impossible to adequately respond to Georgia’s actions. Everything indicated that this was done for a reason. Tskhinvali is in a valley, it’s surrounded by mountains. The Georgians were occupying those areas; the Ossetians were raising the alarm, but no one paid attention. We knew what was going on; we just didn’t know whether Georgia or South Ossetia was going to attack first. There were complaints from [South] Ossetia about Georgia’s moves, they were telling everybody about it. But if the negotiators were on their side even before – of course they would turn a blind eye to it. Bagapsh and I were on holiday in [South] Ossetia, and there was heavy [artillery] fire… A child was wounded in Tskhinvali. Georgian forces were shelling Tskhinvali from the occupied heights. We were expecting such things to happen, as this was a period of provocations on the border between Abkhazia and Georgia, although there were peacekeeping forces there. There were Georgian diversionary and terrorist groups, such as the “White Legion” or the “Forest Brothers,” active along the border. They killed many Abkhazians. More than a hundred Russian peacekeepers were killed on the border. We could expect Georgian aggression either against Abkhazia or against South Ossetia. The events took place in summer; there were a lot of tourists, including Russians. At that time, Russia had begun repairing the railway to Abkhazia so that they could transport their peacekeeping forces. Four hundred railway construction workers came to Abkhazia; that is a lot of people. I and many other people think that it was a sort of warning to Georgia, so they channeled their aggression towards South Ossetia. Sputnik: What were Georgia's military plans regarding Abkhazia and South Ossetia? Sergei Shamba: Obviously, they were confident that the Americans would help them. Someone was telling them that. In early June, Georgian authorities offered to hold a Georgian-Abkhaz meeting without Russia in Stockholm, Sweden. Top Georgian leadership, excluding Saakashvili, were present – Nika Rurua, former culture minister, who is close to Saakashvili's political party, Giga Bokeria, deputy foreign minister, Irakli Alasania, Georgian representative to the UN, Temur Iakobashvili, reintegration minister. I was also at the meeting, together with some other people. It was clear from this conversation that they were confident. The whole meeting was meant to scare us. Sputnik: What were Georgia’s demands? What was their offer? Sergei Shamba: They offered us to agree to their terms, otherwise they would “destroy South Ossetia” and the Russians “wouldn’t be able to help them.” They were threatening to attack us as soon as they were done with [South] Ossetia. The whole meeting was intended to scare us and force us to make concessions in the negotiations. For many years, since the end of 1993, we had also held negotiations under the auspices of the United Nations. There were different options. We needed the negotiations to have the time and opportunity to stand up and strengthen our positions. Time passed and it benefited us, but not Georgia. They [Georgia] were ready for a federation. We were discussing different options, but we didn’t agree to anything. So they thought they would scare us into agreeing to their offer. Sputnik: Were they actually ready for a federation? Sergei Shamba: I don’t really know. If they had destroyed South Ossetia, and if no one had supported it, maybe their conditions would have been more rigid. There was a feeling that they were hoping for external support. It seemed like they had some data indicating that the Russian army was unable to resist. They were hoping that the Americans or NATO would bomb the Roki tunnel and prevent the Russian troops from arriving in time, while they [Georgia] were attacking Tskhinvali. Sputnik: Are you saying that they were counting on the US military and not just political support? Sergei Shamba: I think they were. Otherwise they wouldn’t have done that. These people really did think that they could just poke the “colossus with feet of clay” and get support. Someone was encouraging them: in the US Congress there was McCain and some other people who supported Saakashvili. They were probably encouraging him to go ahead, and when he did, no one helped him. Sputnik: What was the real position of the Americans? Sergei Shamba: I think that they were hoping that Georgia would be able to go to the Roki tunnel and block the it, preventing Russian troops from entering [South] Ossetia, and complete the operation within, say, 24 hours. Then they [the US] would probably have intervened and begun a peace process. By that time the Georgians would have already been there and the Ossetians would have fled from the advancing Georgian army. Sputnik: How well did the Georgians prepare for such a war? Sergei Shamba: Very well. They were very well-armed and very well-equipped. In some aspects, like communication, for instance, they were even better than the Russian army. They were counting on the fact that they weren’t the army that they were in 1992. Of course, [South] Ossetia wasn’t their ultimate goal. It’s clear that they wanted to get Abkhazia back as well. Sputnik: Did you tell South Ossetia about that meeting? Sergei Shamba: We contacted them and told them everything. However, it was clear that Georgia was getting ready for an attack. The Ossetians were aware of that. Sputnik: How did Abkhazia react to the war in South Ossetia? Sergei Shamba: We learned it at night, as there were some phone calls to me and to the president. At the time we were at the president’s place, they were calling from Moscow and from [South] Ossetia. Sputnik: What did they say? 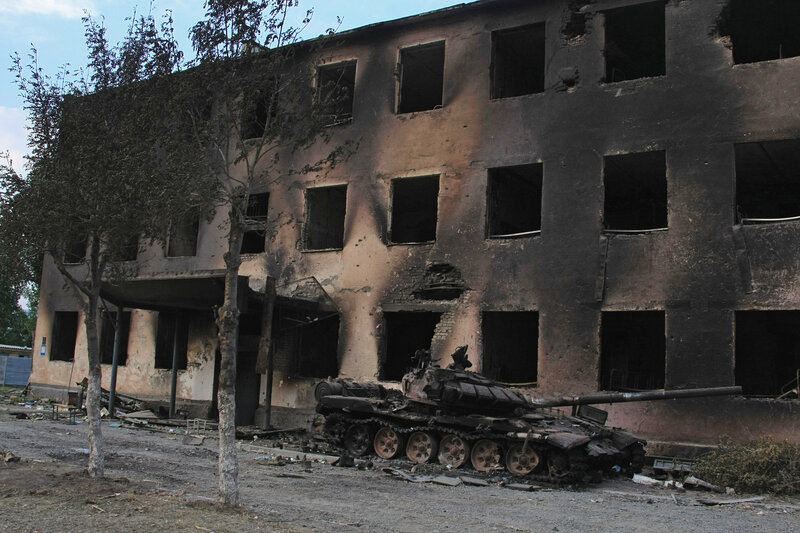 Sergei Shamba: They told us that there had been an attack. The conclusions of the UN commission under the leadership of Heidi Tagliavini were obvious. 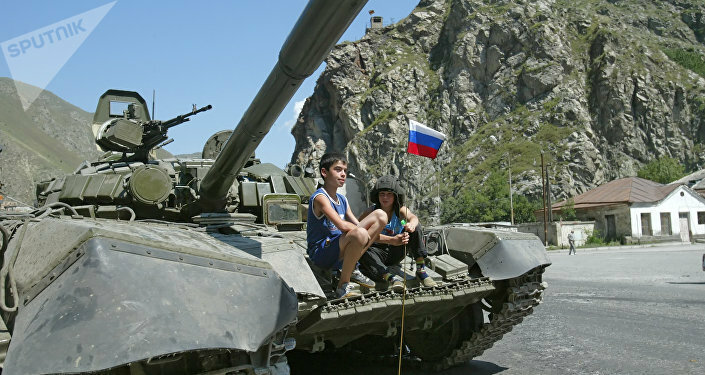 There were different assessments, one could blame either side, but the most important conclusion was that on the night of August 8, Georgian troops attacked the peaceful city of Tskhinvali. Obviously, the side that commenced the shooting is to blame, especially if we’re talking about a missile attack on a peaceful city. On the night of the attack, President Sergei Bagapsh called me. We were sitting in his office and calling various establishments. We have an agreement with South Ossetia that says that if anything like that were to happen, the parties must provide all possible assistance to each other. The president decided to move our troops to the border with Georgia. In the morning, a column moved towards the Ingur River. However, the peacekeepers closed the road and requested that we not do that. They called the president from Moscow, saying that we shouldn’t interfere and that everything would be fine. Sputnik: Did Abkhazia plan to launch an attack against Georgia? Sergei Shamba: We planned to hit western Georgia, to distract some Georgian troops from South Ossetia. The move resulted in most of the Georgian troops concentrating in western Georgia. They were concerned that Abkhazia would strike. But when the peacekeepers closed the road, we decided to release the upper part of the Kodori Gorge, where the ethnic Georgian Svans lived. This was the only Abkhazian territory where Georgian troops were still stationed. We started the operation and they got what they deserved. They were forced to flee from both South Ossetia, and from the upper Kodori Gorge. Then we began to dig them out from the heights, we started to force them out. They all fled when the Russian troops approached. They had already realized that they were cut off and that they would remain encircled. They just ran away without a fight, and most of the population went with them. After the South Ossetia events there was a meeting in Bocharov Creek, where the presidents of South Ossetia and Abkhazia were invited to discuss the idea of forming a confederation. They had two meetings with Russian President Medvedev – on the 18th and on the 23rd of August. For some reason the Ossetians still deny the meetings really took place. Although there are Russian diplomats who remember this very well and say that, of course, there were meetings. This just shows that till the very end Russia was trying to find a compromise. We suspected that Sarkozy, the European Union and Russia had decided to form some kind of confederation as that was the only compromise for everyone. They were thinking of a confederation of South Ossetia and Abkhazia, but the last paragraph said that “other countries, including Georgia, could join the confederation.” They could’ve stopped after saying “other countries,” but apparently they wanted to show Sarkozy and Georgia that this was a compromise. At first, the presidents didn’t think this was serious. And then they got the project. They were invited to Moscow, where they were given the projects. Our president called me, showed the project to me. When Bagapsh let me read it, I only read the preamble and immediately told the president: “They probably want Georgia to join too, because there can’t be any confederation between Abkhazia and Ossetia, we don’t even share a border.” Bagapsh told me to look at the last point and I saw that written there. We realized that we weren’t happy with that, and so we went to the Ministry of Foreign Affairs to inform them. The Ossetians had also refused [to form a confederation]. Medvedev asked the president not to tell anyone about this for two or three days. 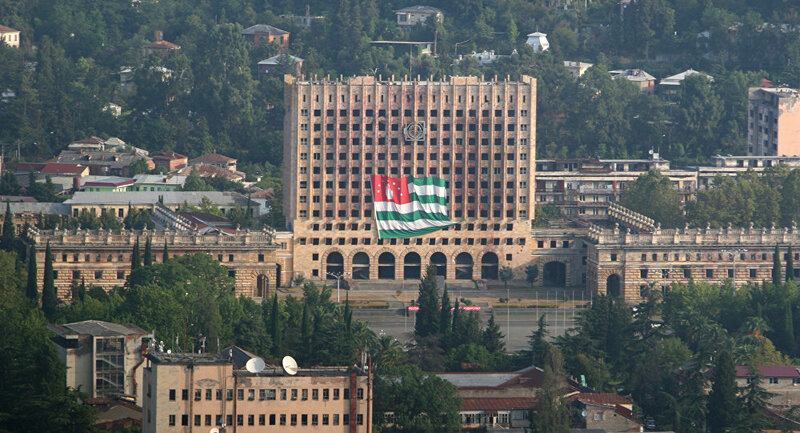 And then, in three days we heard the news about the recognition of Abkhazia's independence. Sputnik: Was Moscow pressuring you? Sergei Shamba: No, it wasn’t. No one was pressuring us during the negotiations. I think they knew we wouldn’t agree. I think that was done to show the public that this was the last option. On the other hand, if we had agreed, it would have been a relief for Russia, Europe and even for Georgia, because there was no option left. They would have agreed to this option – the confederation. It would have suited everyone but us. Sergei Shamba: We didn’t want to form a confederation with them after what had happened on August 8th. Sputnik: Did Bagapsh comply with Medvedev's request not to tell anyone about recognizing your independence? Sergei Shamba: He told me and the foreign minister. Sputnik: Were you happy to hear that? Sergei Shamba: I don’t really know. I was wondering whether they would change their mind or whether Putin would ask Medvedev no to recognize us. But it turned out that Putin supported the idea and that it was his idea; he had promised an adequate response after Kosovo. Sputnik: Did Bagapsh tell the news to anyone else? Sergei Shamba: As far as I know, he didn’t. Well, maybe he did tell it to his wife [laughs]. Sputnik: What did you feel when you heard Russia announcing that they recognized your independence? Sergei Shamba: I was in my office, when our employees came in and told us to turn on the TV. They told us Medvedev was going to make an announcement. There, the entire Foreign Ministry gathered by the TV. We heard it. That was the result of our activities… I had been in the liberation movement from the age of 24. There even was a period when I was the head of it. We gathered in the square, the resident came there, people also came there. There were young people with flags. Bagapsh spoke, and then Father Vissarion (the religious leader of Abkhazia) and I went to see Vladislav Ardzinba, the first president of Abkhazia, he was sick at that time. A lot of people gathered in front of Ardzinba’s house, they wanted to see him. But they couldn’t take him out even in a wheelchair. They didn’t let anyone in, but they let us in. He was in bed, smiling. We congratulated him because this was the result of his policies as well. There were a few people who saw their ultimate goal being achieved – independence and recognition. Sputnik: It has been ten years, why are there so few countries that recognize your independence? Sergei Shamba: It all depends on who is under whose influence. Americans have more influence. They threaten everyone. It's even more surprising that these few countries have agreed to recognize us. By the way, Russia didn’t do that for us. This is the result of our work. It’s clear that they also looked at how Russia would react. But our recognition by those countries is the result of our diplomats’ efforts. We realized that there was no sense to seek recognition in Europe or North America, because they already had a consolidated opinion on the issue. Therefore, we sent delegations to Latin America, Oceania, Asia and so on. There is no such common policy there. We were looking for those countries that are less dependent on the United States or that are in a confrontation with the US. When the president went to sign the agreements with these countries, he was surprised how many friends and allies our diplomats had obtained. There was one very active person who helped us. He is from the Baltic States. He worked in this region, and he helped us a lot with our recognition by these countries [Nauru and Tuvalu]. Syria is of political significance for us. It is historically connected with Abkhazia, because the Abkhazian diaspora has always been there. Sputnik: Did Russia help you receive recognition from those countries? Sergei Shamba: Russia provided technical assistance. Lavrov said that they would provide any technical assistance, but wouldn’t work to get our recognition.” And some may think Russia had paid these countries. That’s not true. Russia just helped us: organized meetings and provided transportation. Sputnik: Were there any talks that seemed to go well, but did not lead to any result? Sergei Shamba: There were, and still are. We were negotiating with one Asian country. Then their delegation came to our country. They really liked it, the meetings were good. But somehow everything failed. I met with the ambassador of this country in Moscow and asked why that had happened. He said that they “were waiting to see what Russia would say” and Russia told them “to do what they wanted.” Russia didn’t impose its ideas on anyone. We had even been in Europe, but I don’t have a hope that European countries will recognize us. However, we did have good negotiations. Sputnik: What compromises can Abkhazia make for Georgia to recognize you? Sergei Shamba: There will be no political concessions. That is out of question. We can only talk about how we can coexist as two neighboring states and two neighboring nations. Sputnik: What can Abkhazia offer in return? Sergei Shamba: I don’t know what their demands will be. But if they demand the return of Georgian refugees, that will be unacceptable because it means changing the demographic situation. We see what the reason for that is. The Georgian population would exceed the Abkhaz; there would be a referendum and so on. And the whole situation could repeat itself. We won’t let it happen. There is no political force in Abkhazia today to say that there can be a return of Georgian refugees. Sputnik: But then a deadlock emerges in the negotiations with Georgia? Sergei Shamba: There is no deadlock. Georgia is in a deadlock. We have a treaty with Russia, and the recognition of the whole world. But that doesn’t offer us anything practical. An enormous country like Russia is the whole world for a small country like Abkhazia. We can realize all our interests through Russia. We have a huge Russian market for our economic interests. We can provide for our security with Russian help. Everything else is a matter of prestige.